Lovely. Delicate smell that isn't too heavy for your face. Leaves my skin feeling hydrated and soft. Perfect for under my moisturizer and makeup. All of my skincare items + candles are all handmade with natural ingredients of 6 or less that are nourishing and healing for the skin. All of the items are vegan friendly. 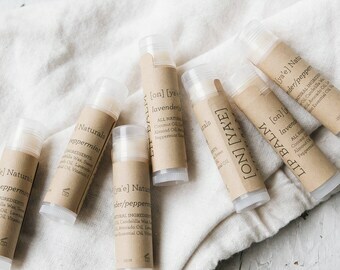 Onya'e Naturals was created with the intent of taking care of our skin from head to toe with non-toxic ingredients. What you put on your skin is just as important as the food you eat. It all started back when I was working on my 2nd college Thesis. I created a vegan skincare line from scratch with only ingredients from the kitchen. I had done a lot of research on the skincare industry and the harsh ingredients they used, and felt the need to create my own products that were not harmful to the skin for both women and men. Two years later, I created Onya'e Naturals with the use of vegan and oil-based ingredients and items straight from the kitchen inspired from my Thesis. I make everything by hand, design all of the labels and collateral, research the right containers and packages, photography, marketing, social media, and shipping. It's amazing that I am a one woman business, but I have balance and I couldn't be happier. I love creating clean products with ingredients that you can pronounce and sharing it with others. Disclaimer: Products are not intended to treat, cure, or prevent any disease.